Technology and healthcare go hand-in-hand. Many of the technological advancements have made treatment of fatal diseases accessible to all. The healthcare sector is not limited to just the treatment of patient’s but also maintaining records of birth, death, licenses, certificates, medicines etc. the most important factor is maintaining patient’s privacy. Where can medical organizations use the blockchain? The healthcare sector isn’t shying away from experimenting with the blockchain. The past few years have seen growing understanding and appreciation for the blockchain. The fascinating thing about the application of the blockchain in different sectors is that it is going to bring immense disruptions in it, yet organizations are willing to pour in money to disrupt their own industry. The striking features of the blockchain like immutability and scalability of data, authenticity of users and non-repudiation by sender etc. makes it distinct and helps it stand out from other latest technology. These characteristics find immense application in the medical sector. 1,000 executives were polled from various sectors across the globe. Out of this 74 %, respondents accepted that their organizations see a “compelling business case” for the use of blockchain, and are planning their tech investments accordingly. One-third of the executives confirmed that their company is working on developing a blockchain system. 40% of the executives said that their organization plans to spend $5million or more on the blockchain technology within the next 12 months. Keeping out discussion centralized to the healthcare sector, more than 55%of the executives from medical sector think that the blockchain technology is disruptive and 60% of respondents feel that not incorporating the distributive ledger technology would make them lose competitive advantage. 63% of the medical executives projected plans of investing more than $1 million on bringing the blockchain technology on-board. The only negative feedback has been that 44% of the executives feel that the blockchain technology is over-hyped and the results may not be as favorable as desired or projected. Deloitte also put forth the key potential promises of the blockchain that lures healthcare organizations. 1) Disintermediation- The blockchain technology would end up the need for reliance on 3rd parties such as medical data aggregators, provider data-validation servicer’s claims clearinghouses and more. 2) Industry collaboration – The blockchain would certainly enable efficient and secure data sharing for use cases such as provider credentialing, longitudinal patient records and clinical trials. 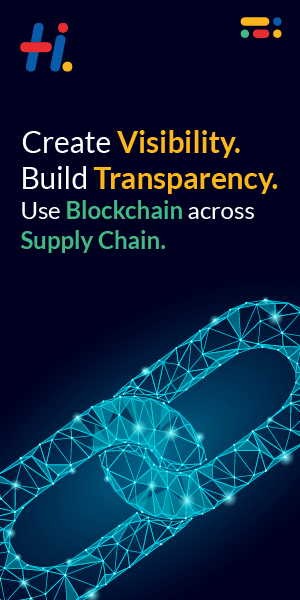 3) Transparency and auditability – Blockchain would enable more efficiency and openness of data sharing among various stakeholders’ thus benefiting value-based reimbursements, clinical supply chains, and other complex transactions. 4) New business models – The blockchain could transform notions of patient data ownership and monetization and offer new blockchain-based revenue opportunities. A very positive vibe for the blockchain can be felt in the industry as numerous proof-of-work projects are pursued by the medical organizations. Over the next 12 month, the results of these investments and blockchain’s value for the medical sector would be evident. So this is the time for the organizations to buckle up their seat-belts and approach the transforming disruption of the blockchain technology with full force.